WEEKLY RECAP: Week 8 has come and gone and we're basically halfway home... and back in form baby! 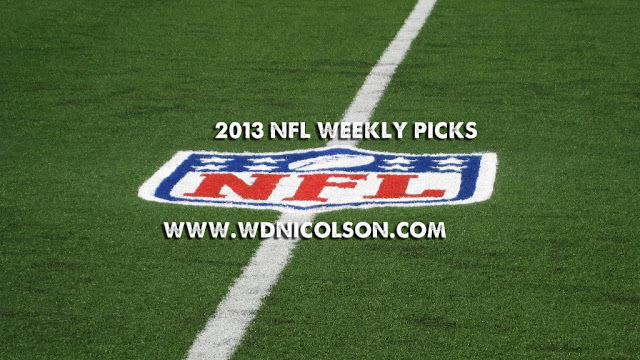 Since Week 6 we are 34-9 in Head to Head and 29-14 with the spread... HELLO 2012 FORM and welcome back! We sit 5,393rd overall... that's including the natives kids. H2H UPSETS PICKED: There were only a handful of upsets this week anyway so to get NY Giants over Philly (that's 10 losses in a row at home for the Eagles - wow) and get embarrassed by Atlanta losing in Arizona isn't that bad. Oakland over Pittsburgh was the only other upset, while we are happy we didn't go with Dallas over Detroit... unlike Dez Bryant who is not so happy. So 1 from 2 Correct (per Pick'Em favourite/underdog listing). H2H LESSONS LEARNED: When you go 11-2 it's hard to be critical... but we gave Pittsburgh the benefit of the doubt after they beat Baltimore... then they got outplayed for most of their loss to Oakland (final 21-18 score flattered Steelers). Atlanta stink... and Arizona do to but should've gone with the gut and picked the home team instead of my SuperBowl pick for runner's up... Got NY Giants over Philly but that's mainly because Michael Vick was on a bad leg... PS. Denver are pretty good... and Cincy reminded everyone that the Jets are pretty bad. Week 9 begins with Cincinnati visiting Miami on Friday Morning Australian time but again only 13 games in total this week with more teams on Bye weeks. TNF: Cincinnati over Miami; Sunday: Kansas City over Buffalo, Dallas over Minnesota, St Louis over Tennessee*, New Orleans over NY Jets, Washington over San Diego*, Carolina over Atlanta, Philadelphia over Oakland+, Seattle over Tampa Bay, Baltimore over Cleveland, New England over Pittsburgh; SNF: Houston over Indianapolis*; MNF: Green Bay over Chicago. Quick Notes: The fact we're going so well might have got the best of us this week... going with 'feel' picks with Philly over Oakland, St Louis over Tennessee and Houston over Indianapolis. While we've shown Atlanta no love finally and aren't convinced San Diego are as good as Washington at home. Buffalo will test and maybe even beat Kansas City... it is in Buffalo so we'll take the Bills with the start in that category. Cincinnati -3.0, Buffalo +3.0, Dallas -10.0, St Louis +3.0, New Orleans -6.0, Washington +1.0, Atlanta +7.5, Philadelphia +2.5, Seattle -16.5, Baltimore -2.5, New England -6.5, Houston +2.5, Chicago +10.5. Quick Notes: The Bears get respect as 10.5 points start is a lot, while Dallas really should be better than a woeful Vikings outfit right now by 11+... Buffalo with 3pts and Atlanta with 7.5pts (as are Chicago +11) are my 3 non-winner but spread picks for the week.